Aside from time management (which many of us suffer through), elevating my writing has been a constant source of concern for me. 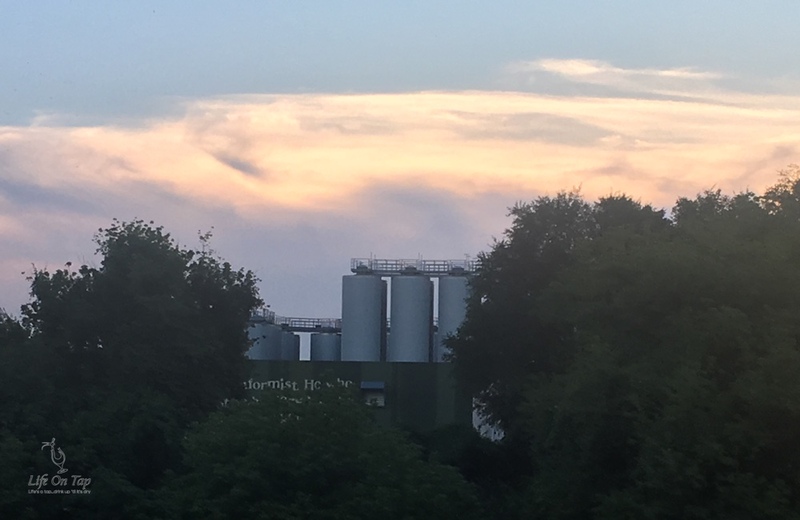 While I may be able to write and edit sufficiently in my day job, I feel that my writing here on Life On Tap and guest posts beyond could always be better. While the presentation in the other track was equally enticing, I felt that I needed to stay put for this one…and I am glad I did. First step has you actually not writing, but reading. “Read widely, read often” is the mantra here, as absorbing pieces of different lengths and tones can really help fine tune your writing and subsequent editing. While I read articles from my fellow bloggers often, I do not always go through every beer-based publication from cover to cover. To this end, I plan on renewing or starting subscriptions for beer and other beverage publications. Once you take steps to be more well-read (pun intended), you can return your focus to the writing process. Ben emphasized to writing for cash, not exposure. We would all like to be liked, mentioned and shared via the social and even mainstream media when possible, but to shift one’s mindset to that of a writing professional this is key. 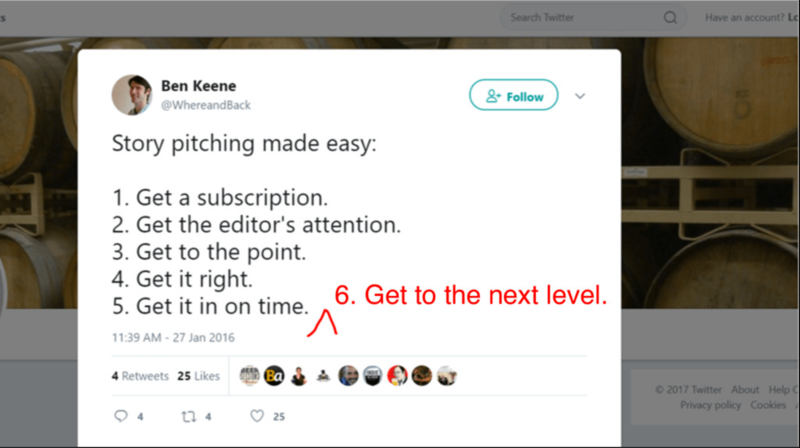 From here you really need to understand where you could get paid to write, and better understand the audience and article types that editorial staff will seek out. Who Pays For Writers, Contently and WordRates are a few places mentioned to discover paid writing gigs. 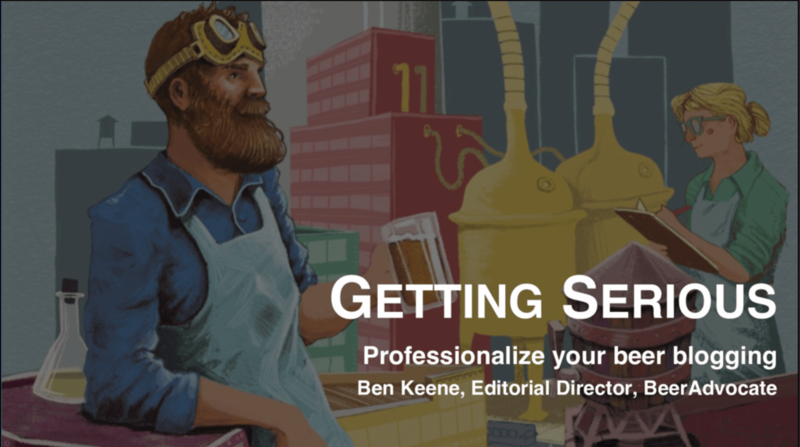 Before thinking about submitting, Ben counseled to request guidelines from publications while asking yourself “Who reads this publication and why?, which leads directly into how to get on the editor’s radar. 2) Get the editor’s attention. SO WHAT? 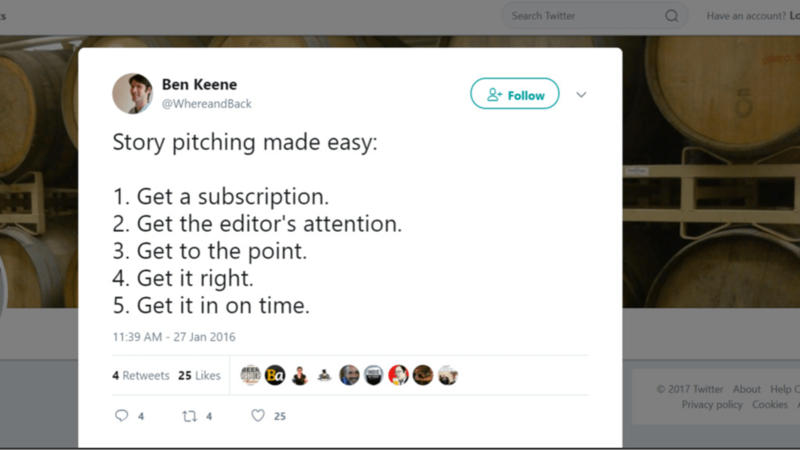 No I am not trying to emulate teenage behavior, but these two words emphasize the need to pitch articles that are not just a general idea, but have a “kicker” to tie the story to the audience, provide a new “peg” or thought and perhaps offer a sense of urgency. One must also demonstrate their ability to write with style and fluency to the subject matter while sketching out a larger story. The best articles do one or more of the following: educate, motivate, inform, entertain, or investigate. Don’t forget to introduce yourself! Many of us have unique backgrounds or niche foci which could very well appeal to editors and more importantly readers. Why you? It’s a bit more of a personal branding and selling approach, so don’t sell yourself short. Ben next showed a series of six different pitches, then asked which ones we would choose. The correct answers were #2 and #4, for those of who you were playing from home. Pitching a publication needs to show the uniqueness, timeliness and a certain x-factor to stand out from the hundreds of others that hit their inbox. Everyone loves to wax poetic about their beer travels, interviews and experiences, but we cannot all be Jack Kerouac for beer. Before hitting send, think about whether your story will be of real value to their readership. I love the Calvin and Hobbes in this section…just needed to get that out of the way. Finding the larger lesson: What is the key takeaway from this event, law, etc. Ben also mentioned to not get bogged down with telling things in chronological order. Much like with film, sometimes your point can be better emphasized using an alternate order. He offered two samples of award-winning writing, both of which were intriguing and relevant to a previous discussion of minorities in craft beer. Dave Infante’s (Thrillist) – article entitled “The Great Craft Beer Sellout” won an a James Beard Media Award this past year by following writing best practices. Rewriting press releases is not interesting…damn right it isn’t! Behind that well-crafted piece of promotion may be a richer story than what might be handed to you. Keep a healthy level of skepticism, take nothing at face value and most importantly ask questions! Reaching out to subject matter experts, consumers, government, business, industry associations, etc. is key…sources besides breweries will provide the necessary 360-degree analysis needed to provide great coverage. This is critically important when there are opposing views to an issue or story. We all have our opinions, but journalism and op-ed pieces are separated for a very good reason. Sloppiness and misinformation devalues your work, your readers and the publication. My wife (and better half) Sheryl often does a pass at most written content and 99.9% of the time, her edits are on the mark. I would love to receive more feedback from others familiar with the content. If anyone out there would like to collaborate, please feel free to reach out. 5) Get it on time. Procrastination’s and professionalism’s commonalities end after that third letter. At my day job I do my best to keep projects on track and submit jeopardy reports to clients when necessary. Outside of work, however, my personal time is often more than a bit of jumble. I will not go into the intricacies of it, as it will not be a good or fun read, but suffice it to say I know I can do better. Consistency is something I hope to work on, and as much as we all want to catch up on TV, podcasts etc., your blog work cannot suffer because of it. Again my key takeaway here is to use the professional approaches and frameworks of project management from my day job and to apply it to Life On Tap work. Additionally, writing is not unlike a muscle in that it needs exercising! Even if what you write will not be published, it will keep your skills as sharp as your chef knife. 6) Get to the next level. All of the pointers were already invaluable, but Ben felt that one more point was needed to drive things home. He showed a cute little graphic with the blog as the first step, magazine articles as the second and book contracts as the third. Many writers I currently read and/or have met have climbed this professional stairway already. Time constantly works against me to this end. To combat the “write it and post” approach, setting a calendar and budgeting time specifically for writing and editing will hopefully assist. I may know more than the average person about beer, but by no means do I credit myself as a beer expert…I use the term “craft beer advocate” more often than not. Not sure exactly which sub-area within craft beer I may pursue further…more to come soon on this. BBC…check. For the record though, I have not attended a CBC or HombrewCon let alone beverage industry or food conferences. Some packages (plus airfare and hotel) are sometimes prohibitive, but if it logistically can fit in my schedule and budget, I will definitely add them. At every BBC I meet new people and exchange information, but I also hope to collaborate on more large-scale projects. 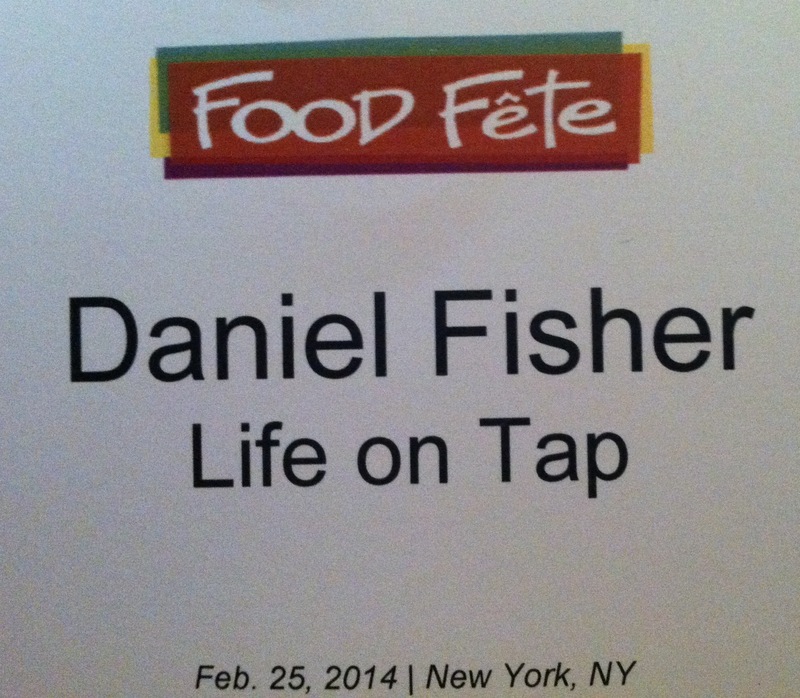 Life On Tap features writing, audio and video, much of which I already promote through social media channels. I have some other ideas on how I may shift the focus and organization of the site along with the next website revamp. A new solid foundation built on those changes and the way I store and access data will no doubt open up more opportunities. Baby steps here. Firstly I will set, and more importantly adhere to my content schedule. Secondly I will allocate time in my calendar dedicated to writing, editing and site development. Thirdly I will make an effort to guest post or collaborate on larger projects once a quarter, to start. Not sure if I am fully-fledged for the latter half of the groups, but the NAGBW is one I definitely will look into. A brief summary and outline of the full book, a sample chapter, the proposed format and length, a virtual SWOT analysis, a short author biography, ideas for publicity and promotion, and when possible an intended timeline. Some of these I was tangentially aware of from my brief stint working for a relative, but seeing it broken down into actionable steps made the process seem easier. One hard thing to be prepared for is rejection, but try to consider even that a learning experience. How can we look up market/competition? Go to bookstores, online stores and seek out what’s published. Your idea may be original, but will it provide enough value to readers for them to lay their money down? Yes, why not? The publications do not always have the resources to make infographics etc. By volunteering that information, it provides an opportunity to negotiate for more money. I am sure if we had more time, there would have been even more questions. All of us in attendance probably already have an idea of where we are as bloggers, and some may even have a vision of where we want to be. Afterwards I had a chance to personally thank Ben for sharing his time, experience and counsel, but I want to express it once again here. Looking back at #BBC17, previous experiences and recent happenings in craft beer, I now know professionalizing our blogs is more important than ever. Readers/viewers come to us for not just for the next brew to try, but also for industry insight and support in their buying behavior and support as beer consumers. We owe it to ourselves and our readers to produce the best work possible, no matter what mediums we employ. All images except the featured image were sourced from Ben’s presentation, available here. Next post So where has Dan been?